I’ve been there. Judge the microwave sweet potatoes all you want—they’re easy and delicious. 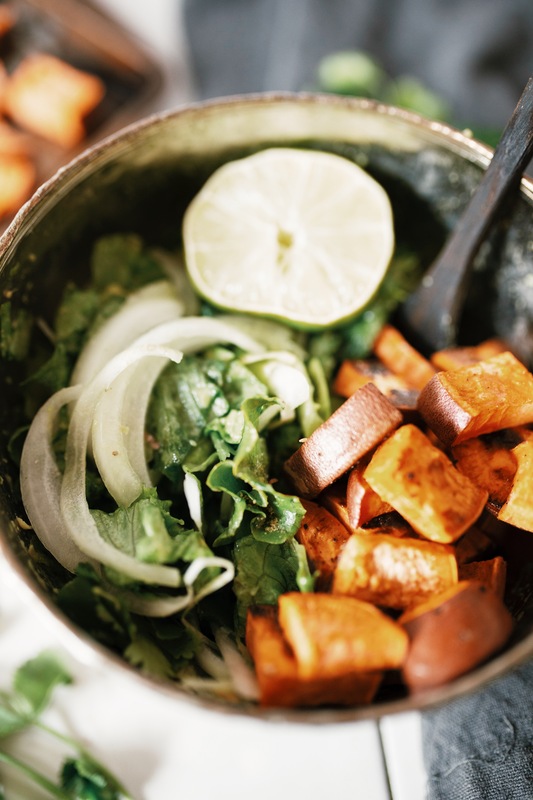 Well my friends, this recipe is a step up from a microwave sweet potato and definitely wins on the nutrition scale as well–incorporating leafy greens, healthy fats, and still—starchy sweet potatoes for carbs to keep you going. And to top it all off, this salad is one of the easiest you will ever make. So when you feel lost for a lunch or just want a huge salad, this recipe is one you can rely on! 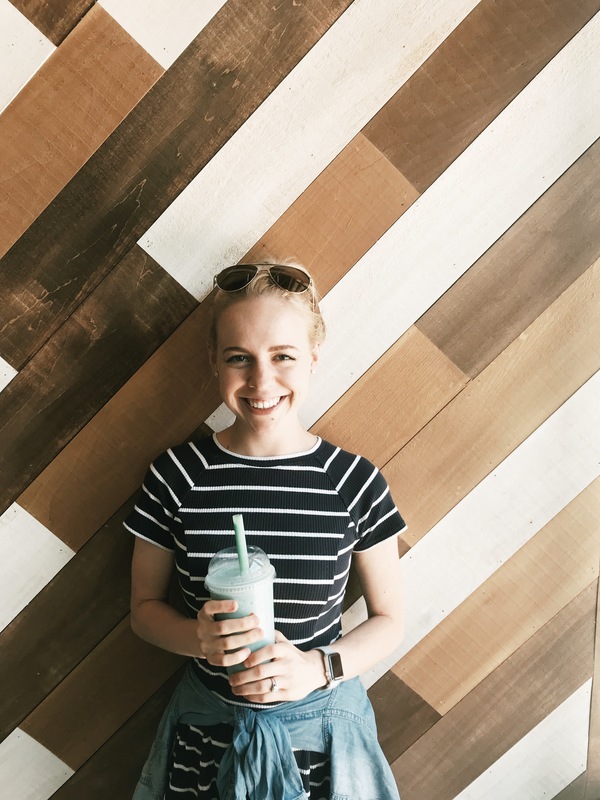 Let’s make my Easy Avocado + Leafy Greens Salad! This recipe developed when I had avocado and lettuce sitting in the fridge, didn’t have salad dressing, didn’t feel like making dressing, and wondered what the result would be without it. I added some salt, thew on some random, cooked sweet potato that I had in the fridge, and the result was magical. 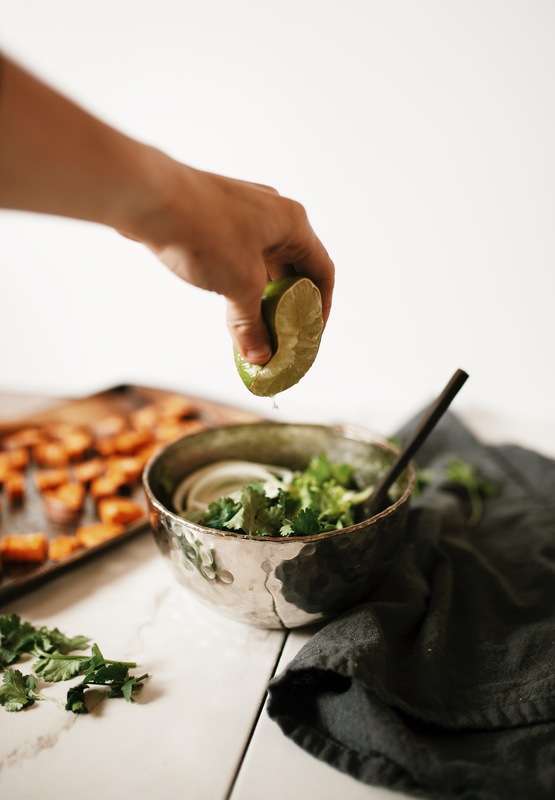 You can bet I always keep a container with cooked sweet potato in the fridge now—and to save a step on your end, prepare the sweet potatoes in advance so that when the hunger is kicking in, all you have to do is whip out the lettuce and avocado! So while this salad is creamy and delicious, I should warn you—be prepared to get a little messy. To really incorporate the soft avocado, you really want to get your hands in there. Massage that lettuce and don’t be shy—the more mixed, the better. If you enjoy this simple salad, you might also like my house salad, sweet potato + sun-dried tomato kale salad, harvest salad, or my late summer salad. 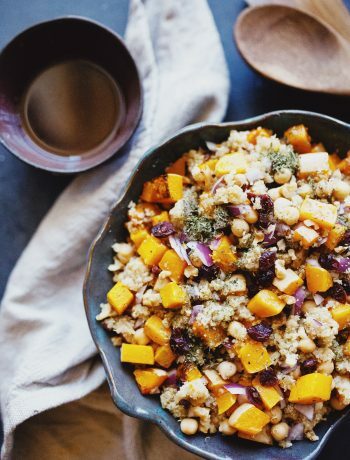 When you feel lost for a lunch or just want a huge salad, this recipe is one you can rely on! 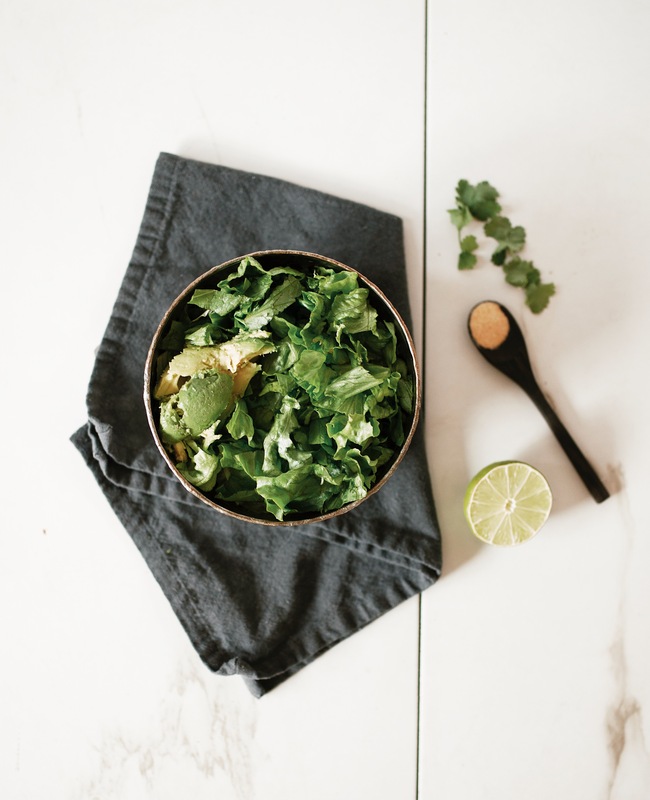 My Easy Avocado + Leafy Greens Salad is simple, fresh, and so easy to make. Spread diced sweet potato across a large baking sheet. Drizzle with avocado oil and sprinkle with ¼ tsp salt and black pepper. Transfer to oven. 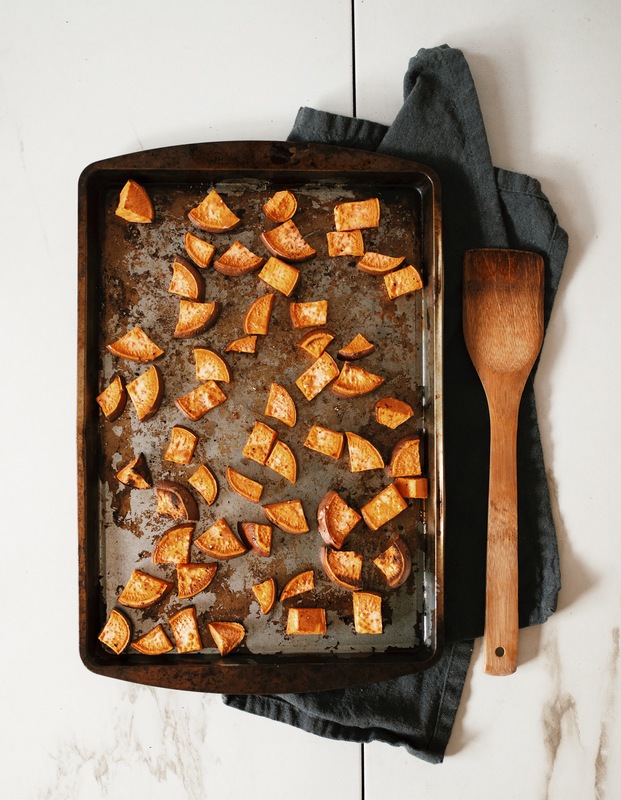 Roast sweet potatoes for 30-35 minutes or until they are tender and starting to darken on the outside. Remove from oven and let cool. To make the salad, add the lettuce and avocado to a large bowl. Using your hands, massage the avocado into the leaves. Add the remaining ¼ tsp salt, garlic powder, and squeeze the lime juice. Toss until well incorporated. 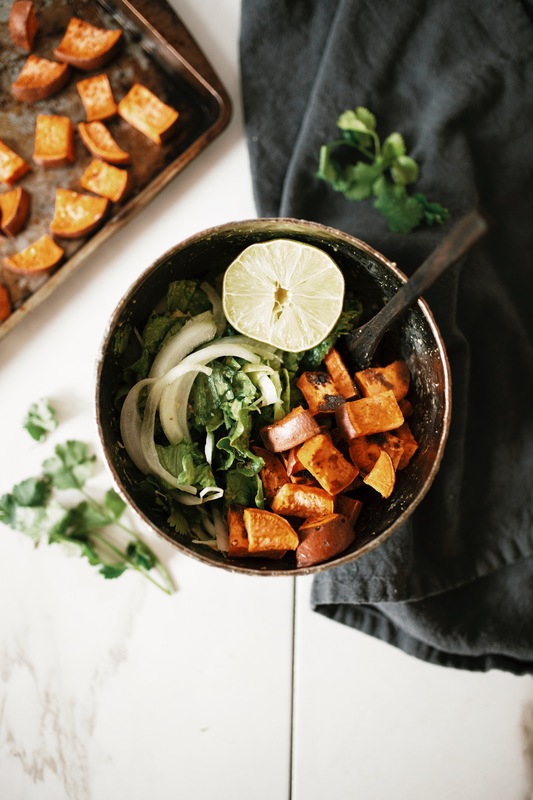 Top salad with cooked sweet potato, onion, and fresh cilantro. Enjoy immediately. 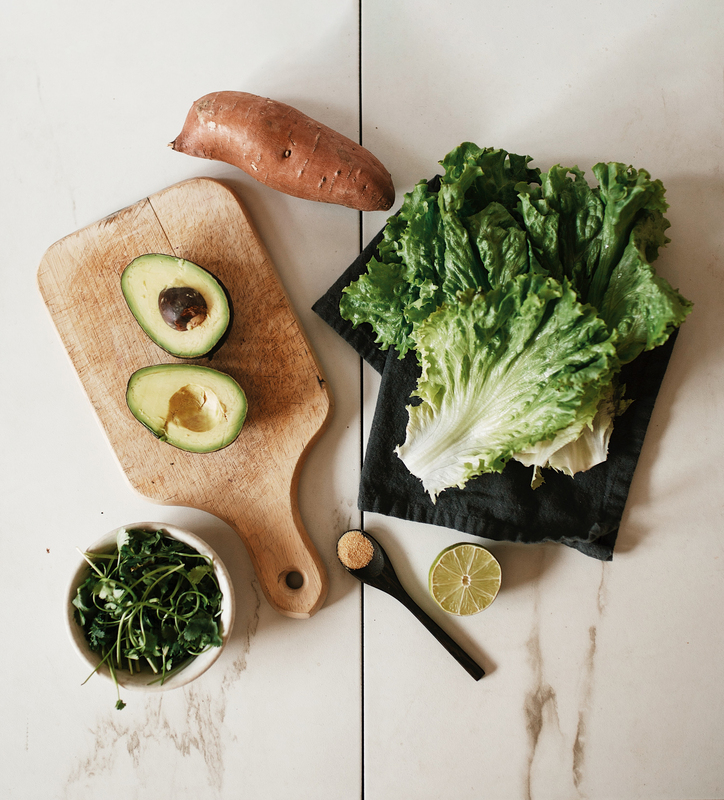 This salad will not keep well in the refrigerator since lettuce, mixed with avocado and lime juice will wilt—which I why I am sharing a single serving for this recipe. If you must, refrigerate in airtight container for up to a day. *It is crucial that your avocado is very ripe and soft otherwise the mashing won’t work. 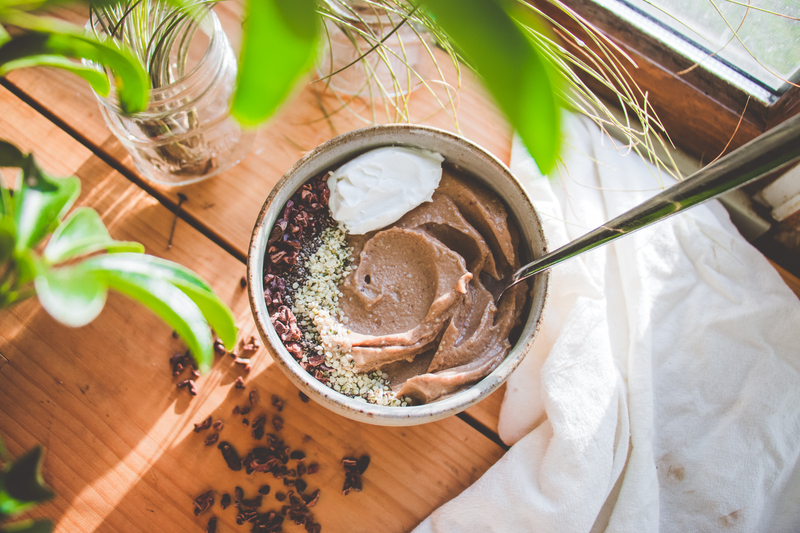 Nutrition information is a rough estimate of the entire recipe.